As it causes devastation in West Africa and strikes fear in the United States and around the world, Ebola has few upsides. But one of them may be the opportunity to change the nature of US-Cuban relations, for the public good. President Barack Obama should heed his former chief of staff’s advice and not squander the opportunity presented by the Ebola crisis. Political leadership in the White House and the Palace of Revolution could transform a fight against a common threat into joint cooperation that would not only promote the national interests of the two countries but also advance human rights—and the right to health is a human right—throughout the developing world. Political conditions are ripe for such a turn. Americans strongly support aggressive actions against Ebola and would applaud a president who placed more value on medical cooperation and saving lives than on ideology and resentment. In the sixth in a series of editorials spelling out the need for a change in US policy toward Cuba, The New York Times called on Obama to discontinue the Cuban Medical Professional Parole Program—which makes it relatively simple for Cuban doctors providing medical services abroad to defect to the United States—because of its hostile nature and its negative impact on the populations receiving Cuban doctors’ support and attention in Africa, Asia and Latin America. “It is incongruous for the United States to value the contributions of Cuban doctors who are sent by their government to assist in international crises like the 2010 Haiti earthquake while working to subvert that government by making defection so easy,” the editorial board wrote. The emphasis should be on fostering Cuba’s medical contributions, not stymieing them. As Cuba’s international health efforts become more widely known, it’s become increasingly clear how unreasonable it is for Washington to assume that all Cuban presence in the developing world is damaging to US interests. A consistent opening for bilateral cooperation with Cuba by governmental health institutions, the private sector and foundations based in the United States can trigger positive synergies to update US policy toward Havana. It will also send a friendlier signal for economic reform and political liberalization in Cuba. The potential for cooperation between Cuba and the United States goes far beyond preventing and defeating Ebola. New pandemics in the near future could endanger the national security, economy and public health of other countries—killing thousands, preventing travel and trade, and choking the current open liberal order by encouraging xenophobic hysteria. At this dramatic time, the White House needs to think with clarity and creativity. Havana has developed extensive medical expertise at home and abroad, with more than 50,000 doctors and health personnel serving in sixty-six countries. Preventive measures, early detection, strict infection controls and natural disaster crisis response coordination are essential parts of the Cuban approach to nipping pandemics in the bud. The lack of some of these components in already-collapsed health systems explains the failures of governance that inflamed the impact of Ebola in West Africa. As a senator and presidential candidate, Obama was one of the loudest critics of looking at Cuba through the glasses of the Cold War. As president, it isn’t enough for him to just retune the same embargo policy implemented by his predecessors. 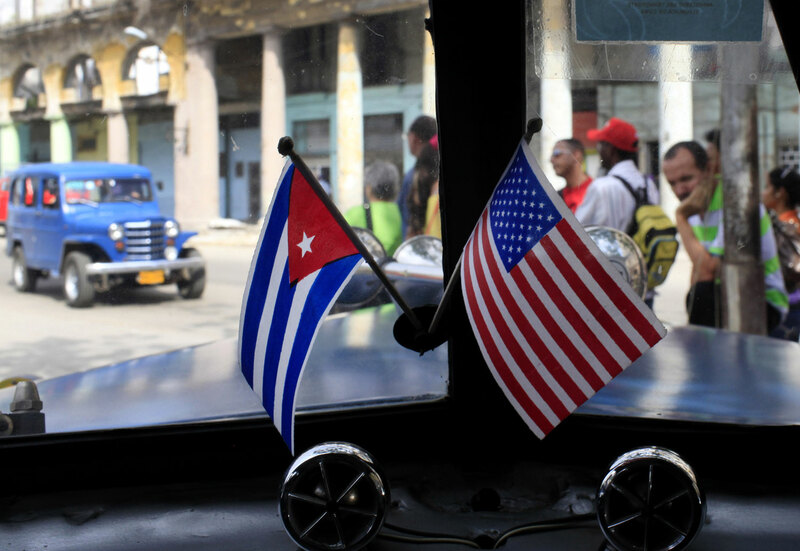 He must adjust the official US narrative about post-Fidel Cuba: It is not a threat to the United States but a country in transition to a mixed economy, and a positive force for global health. Arturo Lopez-LevyArturo Lopez-Levy (Alopezca@du.edu or on Twitter at @turylevy) is a visiting lecturer at Mills College, California, and a PhD candidate at the Josef Korbel School of International Studies at the University of Denver.